Manhwa literally means "comics" in Korean, but the term is also used outside of the country to refer specifically to comics and animation produced in South Korea. In the seventies, manhwa-bangs (comic book stores/ reading rooms) could be found on just about every block of the city. Very little has changed since then, as manhwa is just as, if not more, popular today. In contrast to the West, comics are not just for children; instead, all ages take an interest in them, whether they are watching animated TV shows, drawing and creating cartoon characters, or reading webtoons, the latter seeming to be the most popular, at least by my observations on the subways. Manhwa has become a huge part of Korean pop culture as well, as many of the comics are developed into entire series of graphic novels or sometimes even dramas. "You're Beautiful" and "Goong" are popular Korean TV shows based on Korean manhwa and "Boys Before Flowers", perhaps the most internationally known series, was based on a Japanese manga. 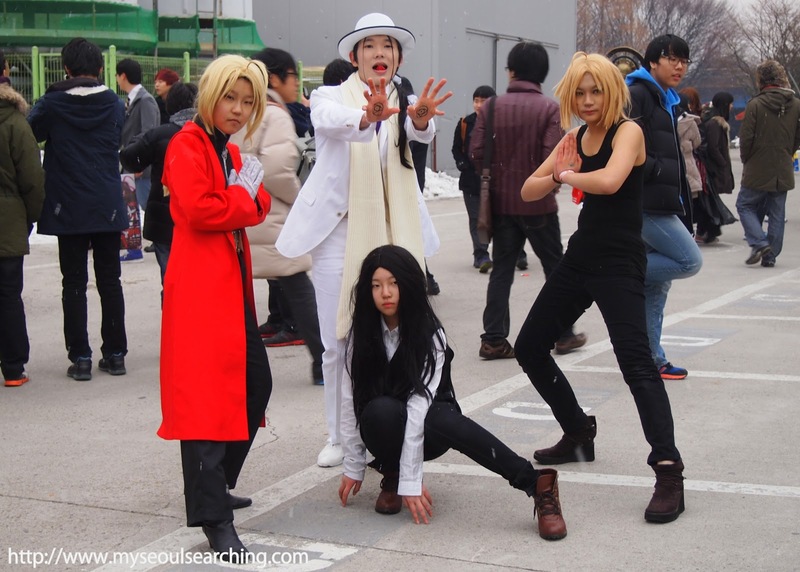 As interest in this subculture continues to become more widespread, manhwa enthusiasts flock to events and gatherings that celebrate the art form. One such affair is Comic World, a comic-con-gone-art-fair of sorts that is held every few months in Seoul and Busan. When I learned that one would be held in Seoul this past weekend, I knew that I had to attend, not necessarily as a fan of manhwa, but more out of an interest in learning about the culture and the people that adore it so. I also knew it would be a great photo op. When I arrived at the SETEC center in southeastern Seoul, I knew I was in the right place. Despite the sleety, gloomy weather, the comic-loving crowds were out in full force. 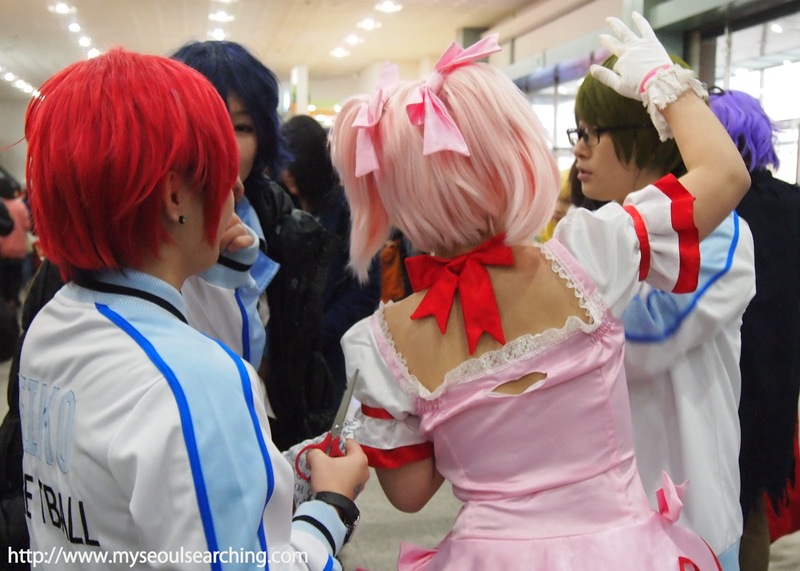 Participants, most of whom were teenagers, gathered in crowds, laughing, talking manhwa, and some even wearing costumes. Yes, the costumes. 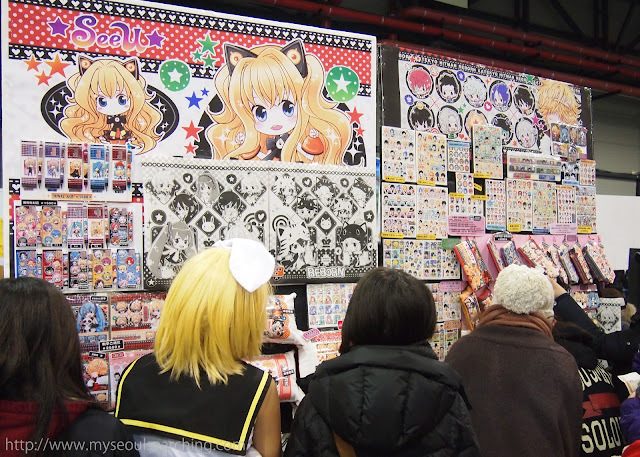 It was what most excited me when visiting the Harajuku district in Japan and it was what I was most looking forward to at Comic World. Many of the costumes I would see throughout the entirety of the day were extremely creative and it was obvious that the costumed kids put a lot of effort into their outfits. I didn't know who most of them were supposed to be, as I know little to nothing about animation, but I appreciated their hard work and creativity. This girl should be in a Tim Burton movie. After paying the admission fee (4,000 won), I entered the conference center to find two large rooms containing booth after booth of manhwa art. Artists of all ages sat at booths decorated with posters, books, and stickers of their creations. Some of them had some bizarre names (Sardine Cupcake?) but all of the artwork was intricate and colorful. Some of the manhwa characters were original designs while others were interpretations of already existing foreign characters. I recognized a few of the Disney princesses and Marvel superheroes turned Asian. There were even some booths that were dedicated to K-pop idol groups. 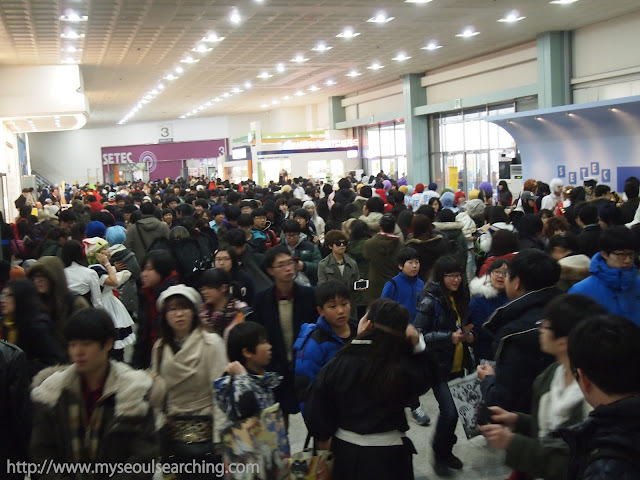 Vendors sold their wares for as little as 100 won (less than $0.10USD) and fans lined up to fill up their bags with manhwa goodies. I'm quite certain that some of the artists present will go on to be future animation and graphic novel superstars. Their art was that impressive. 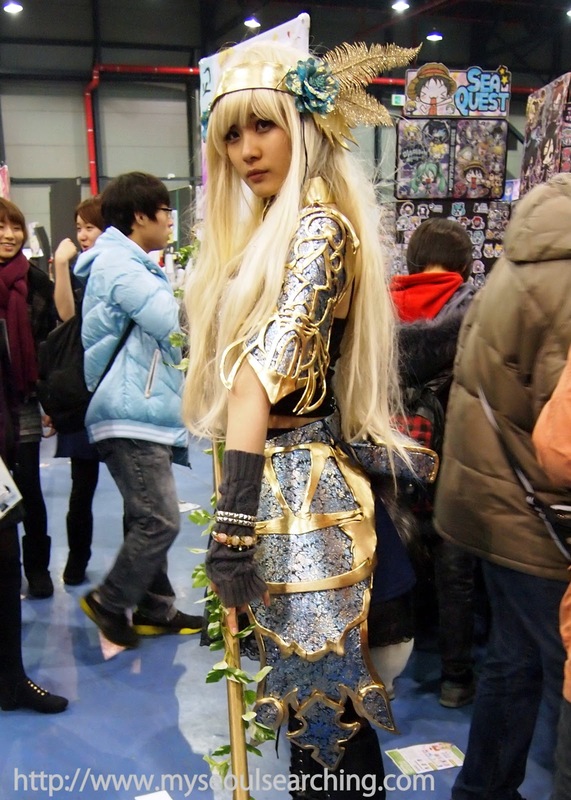 Crowds gather to admire manhwa art and the interesting costumes at Comic World. Cosplayers primp and perfect their hair to get ready for the cameras. Participants admire manhwa art on display at one of the hundreds of booths. A fox girl poses with her spear. An artist displays her fan art of the K-pop idol group Shinee. I saw that a lot of people were gathering outside behind the convention center so I headed out to take a look. It had started really snowing at this point, but the cosplayers were gathered in their respective groups or couples posing for photos, seemingly unaffected by the weather. Although the cosplayers in Japan are quite shy to take photos, these Korean guys and gals were hamming it up for the cameras and photographers. When I asked each participant if I could take their picture (which is required by convention rules), I was greeted with excitement and enthusiasm. 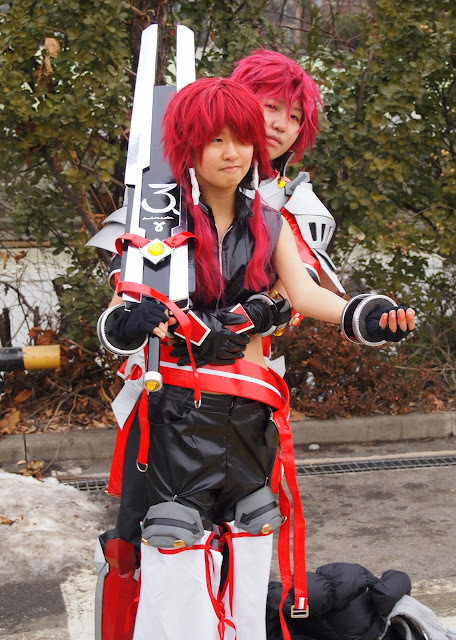 I suppose their willingness to pose is because cosplay isn't something Koreans can get away with on a daily basis. 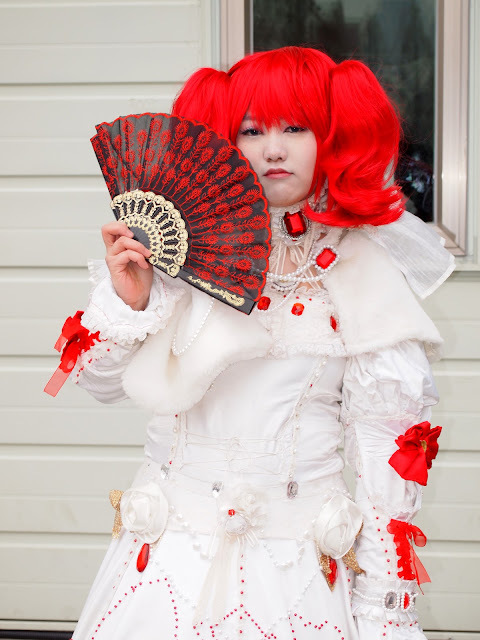 Unlike Japan, conformity is the norm and doing anything that distinguishes one as being unique is looked down upon. 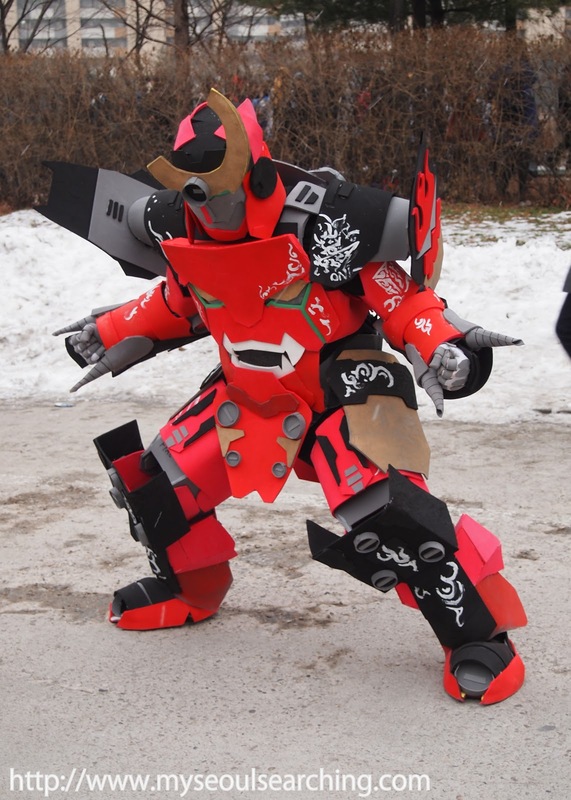 A very convincing robot man gives his best pose. Not sure who they were supposed to be, but they look straight out of a comic book if you ask me. I saw a bit of everything. Fox girls, robots, ghosts, Victorian couples, men from space, elves, Lolitas, pixies, soldiers, lots of those creepy BJD dolls. There were others who were totally unidentifiable, at least to me. 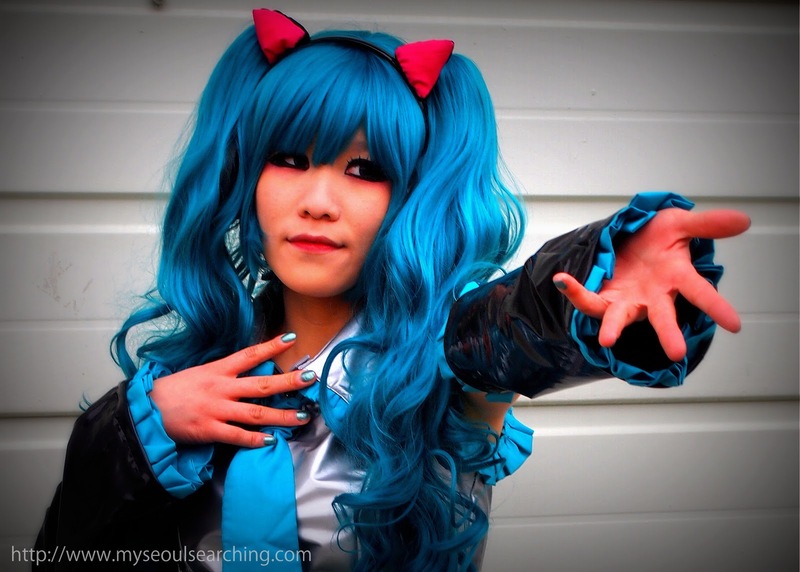 Some dyed their hair or wore colored contacts to perfectly portray their favorite characters. Others toted spears or walked a particular way to mimic who they were supposed to be. Although many of the participants were in high school, I saw kids as young as ten and even one woman who looked like she could have been in her forties. Strange? Yes, a bit. But, hey, whatever floats your boat. 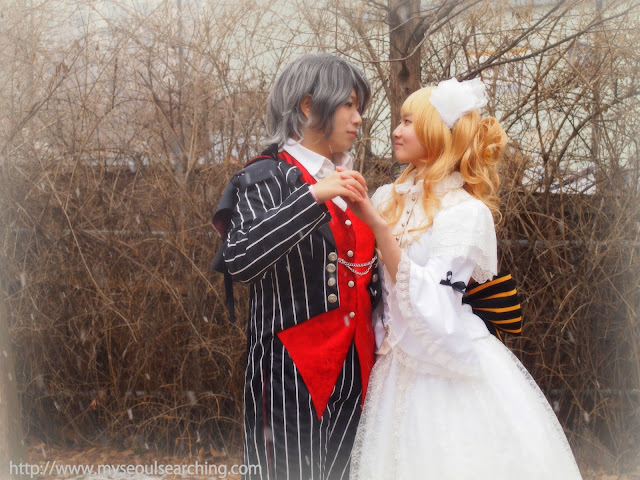 A Victorian couples shows their affection in the snow outside the convention center. These girls were adorable. 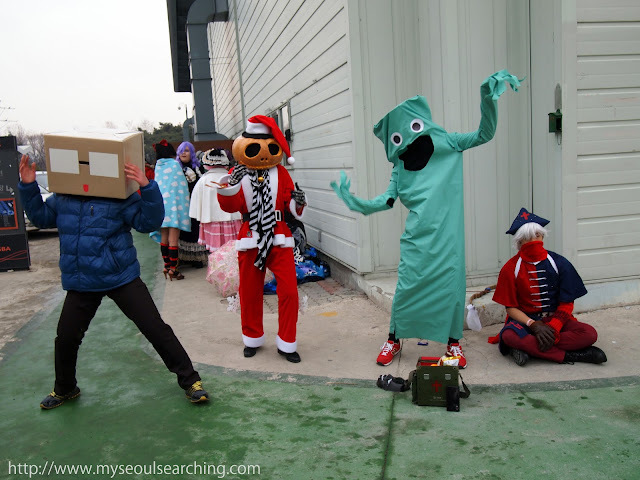 After I took their photo, they gave me a handful of candy from their sack. Throughout the convention, which is spread over two days, performances are held in which famous comic scenes are reenacted. I missed out on the shows but was just as content wandering around the halls, watching young manhwa hobbyists and hopefuls sketching characters in their notebooks, cosplayers primping and parading around, and artists excited to share their work. The event may not have turned me into a comic fan, but it definitely made me realize how much of a part manhwa plays a role in contemporary culture. I also gained an appreciation for the artists that have realized their talents and pursued them, probably against the wishes of their parents, and are now contributing to the growth and development of the beautiful and interesting art and subculture that is manhwa. 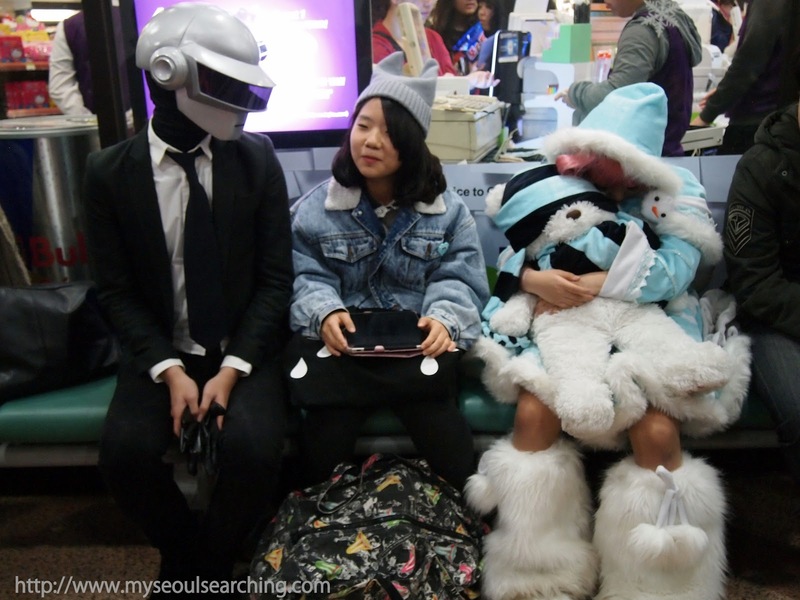 Just another normal day in Seoul. 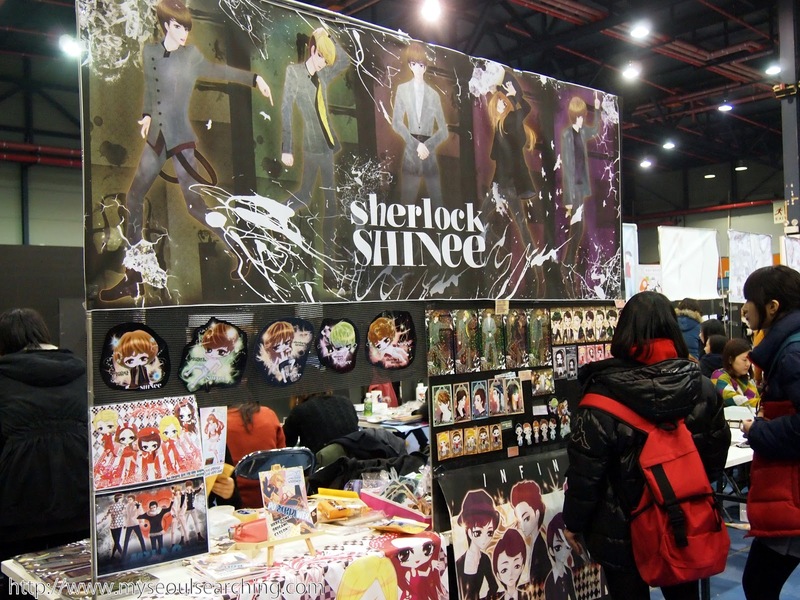 Information: The next Comic World will be held on August 20 and 21, 2016 at Seoul's AT Center. For more information, visit the Comic World website here (Korean only). Thanks for reading. Hope you enjoy the event! !